It has the most beautiful cover. 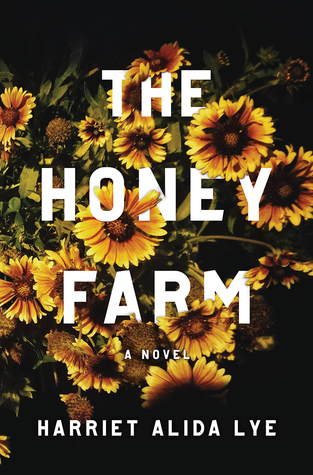 The Honey Farm has produced a lot of buzz since it came out. In advance praise for the book, Kirkus calls it “lush” and “poetic”, Quill & Quire claims that it “evokes gothic tropes and a rippling aura of foreboding”, while Iain Reid calls it “mysterious, suspenseful, and unnerving”. In his review at The Miramichi Reader, James agrees with Carol Bruneau‘s assessment of it as a “mesmerizing, suspenseful novel” and a “thrilling, chills-inducing debut.” The rights have already been sold for film adaptation. You’ll be happy to hear that it holds up well to all this praise. It’s a thriller, yes, but it’s a quiet thriller. Don’t expect all kinds of twists and turns and shockers. Instead the uneasiness of the story sneaks in and settles on you as you read – getting heavier as the story moves forward. You feel like something’s not as it should be, but you’re not sure what, and you’re not even sure if you’re right. The last quarter of the book feels like a nightmare in which you know something’s coming but you can’t move your body. All you can do is watch it come. It’s so frustrating that the characters aren’t behaving the way you want them to. Listen. It starts with the bees. All day long the low, throttling hum of movement, the moment of liftoff – the bass note that never goes away. Then, swelling from the sidelines as day falls, comes the digital tick of tobacco-brown crickets – percussion – chkchking like an automated sprinkler, chrpchrping like needy birds. In come the fiddling grasshoppers – strings – from the balcony of trees, birch, poplar, and pine, followed by the lazy, peripatetic buzz of a fly. The high whine of mosquitoes – the fugue – soars above the rest. 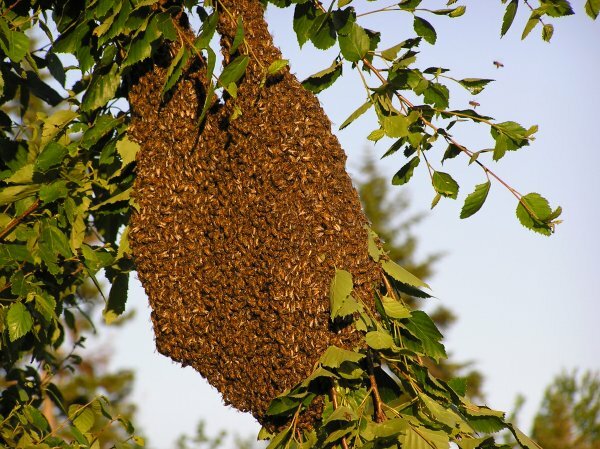 There is a drought going on that is affecting the bees on Cynthia’s honey farm in rural Ontario. She decides to advertise for artists to come stay at the farm – free room and board in exchange for labour. Any free time can be spent on art in an environment free of distractions and full of natural inspiration. Ten artists show up in total, but the main focus is on two of them; Silvia and Ibrahim. When the ten recruits get to the farm, they realize there is no internet. The only way to contact the outside world is by the payphone at the end of the lane. Two of the recruits leave the very next morning, while the others start trickling away over time until the only two left are Silvia and Ibrahim. Silvia is the only child of a religious family from Halifax. Her parents are very protective of her, and Silvia has never been away on her own before. She’s immediately drawn to Cynthia’s advertisement about the farm as a way to gain some freedom from her parents. Silvia is tentative and quiet at first, but settles in pretty well until she starts to suspect that something strange is going on. Freedom is being without an anchor, and she feels like she’s floating. Doubt has a way of ripping a hole through which, eventually, the whole sky can fall. There’s something funny flipping around in her stomach. Lighter than sadness, simpler than nervousness. Unease. Ibrahim is a painter from Toronto. He is close to his family but lives on his own now, painting at night and sleeping by day. At the farm, he quickly becomes Cynthia’s “pet”, and is often absolved of his duties in order to paint and sleep. He and Silvia are attracted to each other right away, but he doesn’t share Silvia’s wariness of Cynthia and the farm. In fact, he feels quite comfortable at the farm and convinces Silvia that they should stay longer than planned. Ibrahim is likeable, but also has a tendency to become self-absorbed. There were many times I wanted to shake him! Cynthia is a mystery. To the reader as well as to the residents of the “artist retreat”. When she walks into the room everyone becomes tense, yet she seems to like having them there. Some of her behaviours seem odd (like her rule about having to drink a glass of fresh farm milk before they can have water). As the book starts nearing the end, we learn more about Cynthia’s past… just enough to put us on edge. When I was in grade ten, I had an English teacher who told us that we should all read the bible, that we’d get so much more out of literature if we did. This book is a perfect example of what she was talking about. You won’t be surprised to hear that strange things start happening on the farm – the water coming out of the tap looks like blood, hundreds of frogs invade the farmhouse, many of the residents discover they have lice, etc.. Because Silvia was raised in a religious environment, she recognizes these occurrences as being similar to the biblical plagues, and becomes filled with guilt and anxiety over them. She thinks her actions have set them in motion, and worries about what might be coming next. However, there are also many times in the book that you might wonder how reliable Silvia’s character is. Is Cynthia really as sinister as she seems through Silvia’s eyes, or is Silvia delusional? There are other things about this book I could talk about. I’d love to get into the stuff about bees and beekeeping. There’s symbolism in the bee colonies – you can’t miss it. I found this book gripping and the writing beautiful. I will definitely be watching for Harriet Alida Lye’s next book! Always a pleasure when a novel lives up to such enhtusiastic advance praise and it sounds as if this one does. Yes, and the physical book itself is also a pleasure to hold and to look at! Excellent review of a difficult-to-describe book. I’ll a link to this review over at my post soon. Thanks, James! It’s hard to describe without giving too much away, isn’t it? But I can also see readers interpreting it in different ways… even just going by the reviews I’ve seen on Goodreads. It sounds like you felt a little conflicted even while enjoying this one, as a whole. But I’m not convinced it will make it to my wish list. Maybe if I see it in the library,mI might pick it up, otherwise I think I’ll give this one a pass. Giving a library copy a test drive is a good idea if you’re not sure. I know the reviews of it on GR are mixed. But I thought it was great! Thanks, Vera! The isolation of the characters also helped to make this book unsettling. I don’t think I’d be going off to an experience like this without doing some research first! Great review. Sounds like a pageturner. I’ve already got it ordered. oohhh this sounds really creepy-especially when it comes to biblical plagues-ain’t nobody want that! I tried… I didn’t get very far! This sounds really good! It’d be an especially timely read for me as a swarm of honeybees has just moved into the eaves of our house. I love the idea of reading such a creepy sounding book with the sound of real buzzing in the background! When things start getting biblical, I’m out, lol. I don’t need to wait until the last plague to get the message. I see a lot of scary stories using bees because in real life, they are the thing to watch, the harbingers of disaster. I rarely read thrillers, but this sounds excellent. There’s something really unsettling in that first passage you quoted! That’s the first paragraph of the book. Doesn’t it make you just want to read on?! It does – in a ‘can’t tear my eyes away’ sort of way! Oooh, creepy… sounds like something I’d like! It was such a fun change of pace for me! I might have stayed for a couple of weeks – sort of like a camping trip. But the work they were doing during the day was out in the hot sun, and I wouldn’t have liked that. (They got really sweaty in their bee suits.) I’d probably hold out longer if they worked evenings instead. Oh, right: the work. Yeah, never mind. I wouldn’t have lasted a day! Me too! I just ignore it whenever I read a review that says a book is too slow or there’s not enough action. As long as the characters are well-developed, I’m happy!